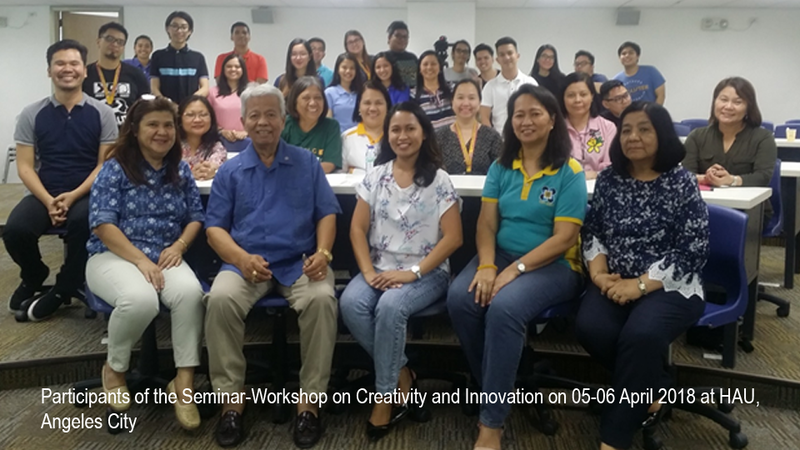 Angeles City, Pampanga – The Technology Application and Promotion Institute of the Department of Science and Technology (DOST-TAPI) in collaboration with the Manila Innovation Development Society (MINDS) conducted an on-campus seminar-workshop on 05-06 April 2018 at the Holy Angel University (HAU) in Angeles City regarding the Invent School Program (ISP). ISP stimulates the students' interest for creativity and inventiveness in creating familiarity on the necessities of entrepreneurship and invention by introducing topics on Intellectual Property (IP) Rights, prototype development, and commercialization. As one of the programs of the DOST-TAPI in invention development, ISP entices the young minds in pursuing activities to solve problems in industrial applications and encourage to take related courses to science and technology. In line with the major objectives of the ISP, the two-day seminar-workshop opened the possibility in creating the formation of a breakthrough innovators and inventors association with the help of HAU engineering and architecture students and faculty. "The promotion and establishment of young inventors' associations or clubs intensify the inventive activities of the ISP in schools or universities," said Anna Liza B. Saet, Program Manager of ISP. The creation of associations and clubs would encourage invention development efforts for the students as they take on a hands-on experience to become future scientists, researchers, or engineers. "It was a value-adding experience especially for the students and faculty of HAU," summed HAU President Dr. Luis Calingo. "I hope this seminar-workshop can lead to more partnerships between DOST-TAPI and HAU," added Calingo. Dr. Ruby P. Henson, Head of the HAU Graduate School of Engineering, and Engr. Melani B. Cabrera, Chair of the HAU Industrial Engineering Program graced the event, making sure that the participants were comfortable by providing them accommodations, tour, and Kapampangan delicacies. The event was attended by 40 faculty members and 30 students of HAU, citing the seminar-workshop as most enlightening.